Your customer list can be exported into a .CSV that will be sent to your email address on file. This file format can be imported into almost all marketing programs. Click the Options button on the right side of your page, next to the gear. Note: This will download whatever filter is currently visible. In the screenshot it shows "Show All". 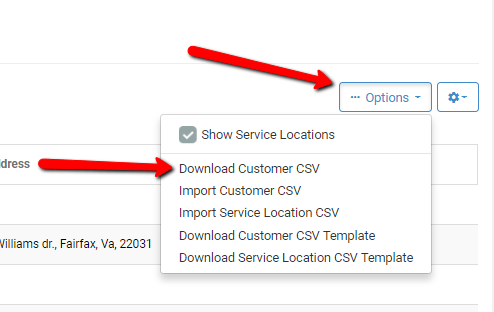 If you only want to download a segment of customers, you will need to create a custom filter first.